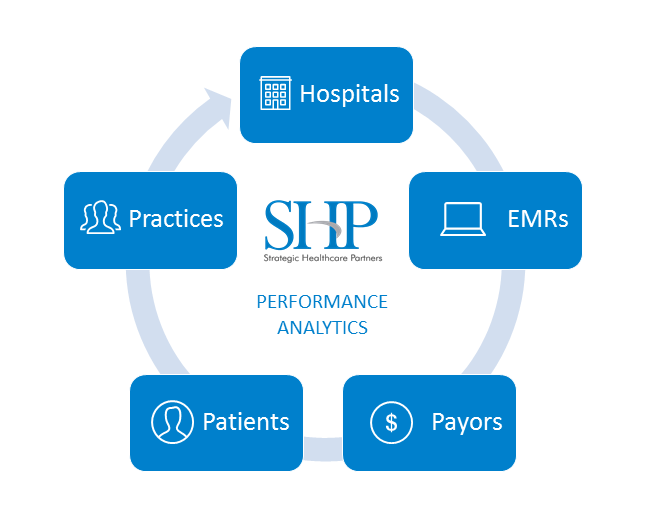 Strategic Healthcare Partners (SHP) Performance Analytics Services can help you effectively manage your practice. We dig deeper to analyze cost and profitability by profit centers, monitor managed care contract under payments by payor and investigate new revenue opportunities. We provide you with a comprehensive overview of your practice’s key performance areas. This allows you to effectively monitor and fine-tune your practice. With daily monitoring of financial reports and operational processes using our turnkey dashboards you can empower your organization to act, not react. We use both an industry-leading analytics platform and experienced analysts. Our team will serve as an extension of your practice. Click here to register for a live demo. Collections and A/R: Add another layer of reporting to keep an eye on the continued performance and effectiveness of the collections department. Our matched A/R reports and trending metrics including “A/R”, “Percentage of A/R over 90” and “Credit Balances”. All of which come complete with filtering capabilities and drill down to detailed patient listings. Practice Health Monitoring: Trend and track your practice’s financials across the board in relation to internal goals. Watch for major changes in charge volume or reimbursement compared to a stable payer like Medicare. You want to be aware if things need to be addressed without having to wait for your month end reports. Revenue Opportunities: This tool provides you with a way to quantify “What If” scenarios and their potential effects on revenues allowing you to focus your attention on the most impactful initiatives including shifts in E&M coding levels, improvements to claim lag times, increases in patient volumes or ancillary services and adding new physicians or practice locations. In addition, we provide: Charge Master Review, Underpayment Analysis, Contract Impact Analysis, New Contract Analysis, Proforma, and IPA Analysis. Scheduling: Monitoring scheduling analytics and leading Key Performance Indicators. Such as the utilization of schedule, wait times, no-show rates, cancellations or bumped appointments will maximize patient flow and the utilization of practice resources. Productivity: Leverage our wRVU Analysis environment to easily compare provider productivity indicators against industry or internal benchmarks. Or six month moving averages, last year to date or same month last year. Enrollment Report: Enrollment Reports show the number of enrollees for each of the CMOs. Also Traditional Medicaid, State Health Benefits Plan, Medicare Advantage, estimated Commercial. As well as an estimated self-pay population for each of the counties in the client’s market. In addition, we provide: Patient Liability Estimator, Referral Trend Analysis, E&M Coding, Denial Management, Charge Log Tracking, and Case Mix Analysis. Clinical Ad Hoc Analysis: Easily mine your data to identify and empanel patients using numerous clinical criteria such as diagnosis, lab result ranges, medications, allergies, visit patterns, demographics, vitals and more. Turnkey Clinical Quality Measures: Our turnkey CQM’s are loaded automatically by extracting data directly from your EHR on a daily basis. This includes MIPS, PCMH, ACO, UDS and other quality payer programs. Interactive CQM dashboards can be per clinician, or rolled up per practice or specialty. Allowing your office to easily and more effectively monitor quality performance improvement. Optimize your Clinical Quality Reporting: We can track any number of Clinical Quality Measures and compare your results to the CMS benchmarks. This allows you to choose the optimal measures to include when reporting on Quality. In addition, we provide: Monitoring of Gaps in Care, Custom Quality Measures, and Patient Outreach Lists. SHP has helped a community of independent providers come together with community based hospitals to collaborate on strategic goals. Along with provider engagement, compliance programs, and legal guidance, analytics and connectivity consistently remains the toughest obstacle to overcome. As a result we believe Performance Analytics is the solution. To best position for the current and future realities of healthcare, while maintaining focus on current operations, providers are turning to clinical integration as an option. For an effective and legally approved approach, you must have the necessary data infrastructure to connect to one another in a HIPAA compliant environment and report in a detailed and benchmarking fashion across all parties. From an infrastructure perspective, any of the items above cannot occur without the ability to connect the various providers and disparate platforms. Our Performance Analytics checks the box on the most glaring and costly item with any provider integration initiative. Ready to schedule a demonstration of our Performance Analytics Services? We are offering several open demonstrations during October and November. Click the button below to register or email us at jthomas@shpllc.com. We will set up a private demonstration at a time that is convenient for you. A PDF of our service brochure is also available for download below.